The Byron-Bergen School District hopes to once again offer a half day Universal Prekindergarten (UPK) program for the 2019-2020 school year. The class will be held at the Byron-Bergen Elementary School which is located at 6971 West Bergen Road, Bergen, NY 14416. Students eligible for the program must turn four years of age by December 1, 2019. If you have a child eligible and are interested in having him/her attend our UPK program, please send a letter of interest with your child’s name, parents’ names, address, phone number, and date of birth to: Brian Meister, Elementary School Principal, 6971 West Bergen Rd., Bergen, NY 14416, by Friday, April 5, 2019. Parents that have already contacted the Elementary School by phone will still need to send in a letter to be eligible for UPK. Please note that if we receive more than our allowed capacity, we will select students using a lottery system. = To meet the NYS learning standards by using a curriculum that is thematically based and supported using literature, songs, and exploration. = To foster an environment that promotes happy, confident children who are willing to take risks, make independent choices, and ask questions. = To create an inclusive community that builds upon the student’s strengths and accommodates their needs. Children who will be five years of age, on or before December 1, 2019, are eligible for entrance to Kindergarten in September of 2019. 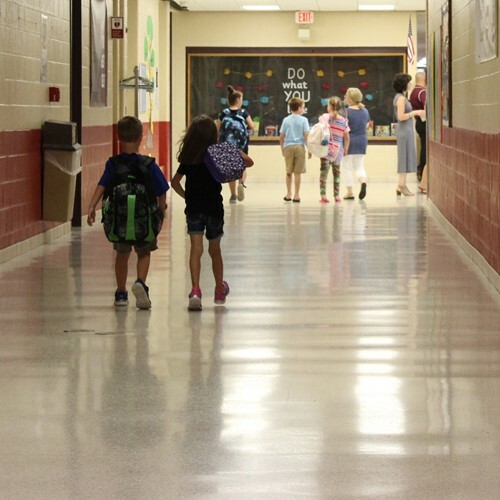 New families in the school district should notify the school if they have a child that will enter Kindergarten in September of 2019. Parents may contact the Byron-Bergen Elementary School Office by calling 494-1220, ext. 1301. Information may also be sent to the Byron-Bergen Elementary School, 6971 West Bergen Road, Bergen, New York 14416. 2. Certificate of Immunization – New York State law requires that every child entering school must have received a minimum of 5 doses of diphtheria-pertussis-tetanus vaccine (DPT) and 4 doses of polio (IPV) vaccine, 2 doses of MMR (measles, mumps, rubella), 3 doses of Hepatitis B, and 2 doses of varicella (chickenpox). Those children born on or after 1/1/2008 must have 4 doses of Pneumococcal Conjugate Vaccine (PCV). Their immunizations must be completed prior to entering school. 3. Proof of Residency – If this is the first time you have a child entering Byron-Bergen Central School District, please bring proof of residency to your screening appointment. This can be a copy of your mortgage statement, rental/lease agreement or a copy of your tax bill.